Illness. A force capable of wiping out an entire city, if not civilization, if left unchecked. My superiors theorize that it is the result of the machinations of the lower planes. I know better though, I’m well aware that life so evil need not come from other planes, but from our prime material. Sicknesses come from small germ-like creatures, accidentally bred through hosts and environments, but that’s as far as I can gather on my research. By all means, I’m sure fiends can create their own diseases though… and I shudder at the thought. That said, I will never rule out an element of the supernatural in plagues. I’ve witnessed many things while acting as a physician: pustules emitting acidic vapor, coughing fits leading to burning alive, previously rotting and wasting victims returning as the undead, demonic incubation. The list continues onward. In fact, some of these cases I plan on covering more in depth, in addition to some new discoveries I’ve made. I must go back into plagued lands to dive deeper. However, one can’t venture into these dark depths without proper protection. As unnerving as it may be to the public, the plague suit has proved quite effective. Aromatic contents treated with protective wards is helpful enough, after all. Now, I ready myself for travel throughout the planes, in hopes of understanding disease throughout all realities. Author’s Note: My avatar on many of my pages tends to be a plague doctor. So, what could be more appropriate than analyzing diseases with such a character. Also, I guess this marks a return to planar and sci-fi content, right? Plus, one of the things that inspired this was Russet’s Mold and Vegepygmies from Expedition to Barrier Peaks… a module I had previously converted! Also, be warned! If you do not like Body Horror or other forms of Medical Horror, I do not recommend continuing. While I don’t go into grotesque detail, I’ve still tried to capture both to the best of my ability. And even then, many of the diseases here are quite deadly and have the capability to kill an entire party. As such, use them sparingly. Also, please pardon the lateness of this post. I’ve been under immense stress for the past month and a half. Things haven’t been going too well for me and I’m doing my best to manage. That said, things are getting better and I’m trying to make things go back to normal. As always, thanks for understanding. UPDATE: You can get the updated version of this via DM’s Guild! Zoanthropes – A Collection of Werebeasts is available now! Please, support the blog via DM’s Guild! What was covered by our resident archivist was only a sampling of the many were-creatures that torment civilization. Many more threaten to bring ruination to all those who threaten their claimed territory. Woe to those who encounter such fearsome foes, even if they are completely prepared for what lies ahead. The werebeast, lycanthrope or zoanthrope is a monstrosity born from something dark and primal within us. It is awakened through dark pacts, wicked curses, magical plagues or even an act so vile that your own living realm changes you in response. 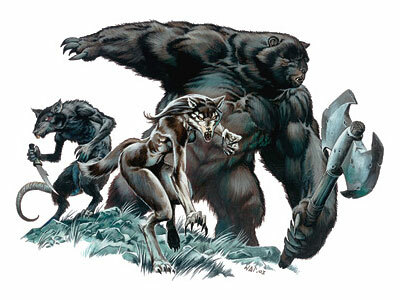 No matter the origin, such creatures remain a danger to all those around them, even the lycanthropes that aren’t inherent advocates of pure evil. Raw and unrestrained emotion can lead to massive destruction if left unchecked and the were-beast is indeed freed and passionate anger incarnate. AUTHOR’S NOTE: I didn’t finish everything I wanted to do, so I figured I’d expand upon it here. With that, here’s a few more creatures at your disposal, including an update of my werebat from last year! Plus, a whole bunch of inspirations have lead to some cool new creatures. UPDATE: You can get the updated version of this via DM’s Guild! Zoanthropes – A Collection of Werebeasts is available now! Please, support the blog by grabbing a copy! – A farmer’s account of unspecified werebeasts emerging from a murder. Long have we come to fear nature, it is pervasive and will reclaim all that we abandon. It cares not for our petty morality. It exists outside of our constantly changing and growing societies. If we are lost within it, there is a good chance we’ll never be seen again. But, while those fears are relevant, the fear of nature speaks to something within us… something primal. 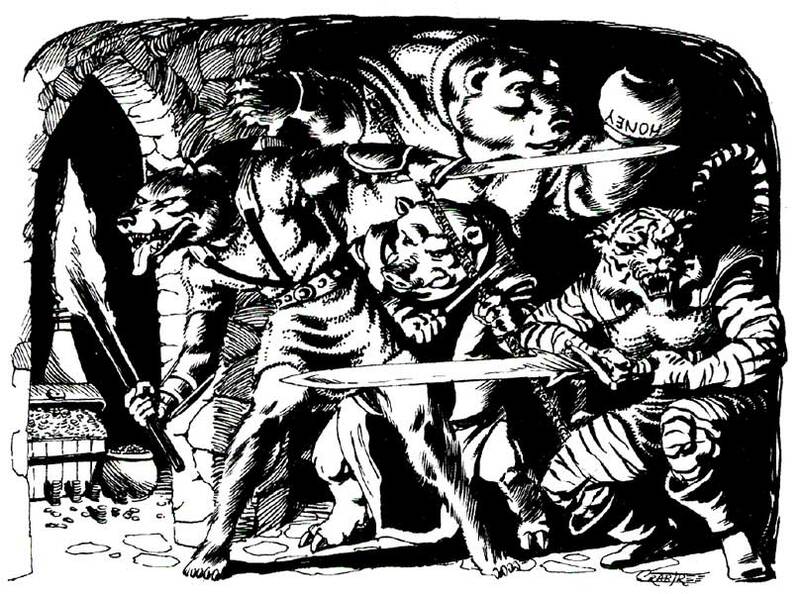 The fear of the inner beast is exemplified no better than the shapeshifting horror, the lycanthrope. While the name is a big misnomer, the lycanthrope is a sinister beast that masquerades as a normal person during the day. As the night falls, they begin to hunt down the very people they interacted with before by shifting into one of many beasts. No one is completely sure why they do this. Perhaps dark spirits of nature beckon and control victims into attacking civilization. Maybe they are corrupted worshipers of the old ways who desire to tear down boundaries between society and the wild. Maybe they’re just shape changers who went completely mad. No is sure for certain, for those who have survived an attack eventually become one of the monsters themselves. One thing is certain is that entire cults have been built up around werebeasts, revering dark gods such as Malar the Beastlord; a deity originally hailing from Abeir-Toril’s universe. Scholars have pondered what type of changing beasts exist in the world. Beyond a list of common creatures, there are rarer and newer beings emerging from the untamed darkness. These creatures are based on an assortment of other animal stock, sparsely mentioned or researched by archivists and monster hunters. Recently, brave souls and madmen alike have unnerved new types of werebeasts based on various stocks. Some of these animal stocks seem to affect different races disproportionately. For example, wereweasels have a strange habit of once being halflings, while werebadgers had once been dwarves. Author’s Note: Halloween season has returned to Daemons & Deathrays a little early this year! I figured I’d start by converting some of the stranger therianthropic nasties across other editions and various settings. Not to mention, create some new NPCs based on existing types. With the Wereraven officially released in Curse of Strahd, that’s one less creature I need to stat up myself. On another note, Werewolf the Apocalypse may have had something to do with this. Whether it’s nostalgia or my unashamed love of Classic World of Darkness, but I just can’t hate that game… even if it’s filled with stupid (and borderline tasteless) nonsense. With that, have some more werebeasties! IMAGE CREDIT: Night Howlers – TSR Inc.